Having a fast website is essential for user experience and good search engine ranking for your WordPress site. A slow website would mean that users who land on your site would leave in a matter of seconds. This would adversely affect your conversion rate, and soon the impact will be evident in search engine rankings as well. So, if you have a WordPress website, it is important that you follow the expert advise on site optimization consistently. In this article, we will discuss some of the most effective ways to optimize & speed up your WordPress site. Your hosting plan is one of the most important aspects that determines the performance of your site. When you are starting out, most likely, you would go for a shared hosting plan. Some of the shared hosting plans are really good, as they focus on speed optimization as well. However, since it is a shared service, you might occasionally face troubles in the allocation of resources. A managed WordPress hosting service would be great for your site performance if you have considerable traffic coming to it. 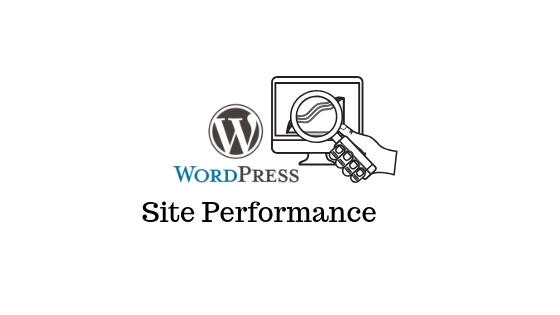 In a managed WordPress hosting service, server resources will be best optimized for your site performance. Moreover, there will be better attention towards the security of your site with regular updates, backups, etc. Kinsta offers superior technology stack to host your WordPress enterprise site. A bloated WordPress theme can considerably slow down your store. If you are using a versatile, multi-purpose theme for your site, chances are high that it comes with a lot of bells and whistles. This might be really good theoretically, but not so much practically. The success of your WordPress site will be dependent on how you are able to focus on your domain. When you try to do that, a lightweight, specialist theme will be a much better option than having a theme with features you don’t need. 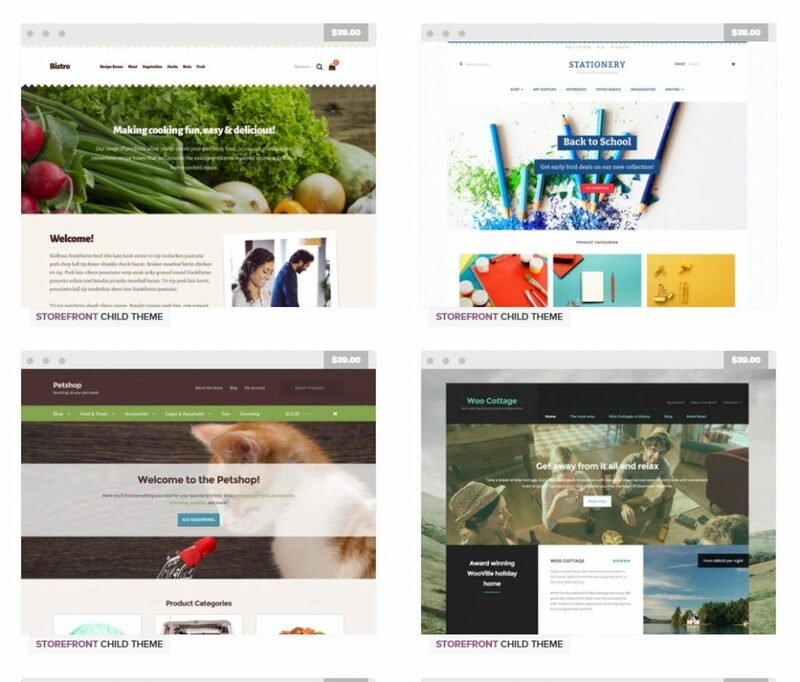 How to spot the best theme for your site? Another aspect that has a major influence on your site’s performance is the plugins that you use. In the WordPress ecosystem, you will find numerous plugins with varied capabilities. The trick is to use plugins only when you really need them. Just because a feature is good to have, you don’t have to implement that on your site. If it really helps with your site’s user experience, you can consider adding it to your site. Moreover, when you are choosing plugins, make sure you are getting them from developers who follow WordPress coding standards. A badly-coded plugin can do more bad to your site than good. So always do a bit of research on the developer before getting one. If you are downloading a free plugin from WordPress plugin repository, check the star rating, user reviews and updates of the plugin. In addition to the repository, you can find good plugins from WooCommerce extensions store, ELEX, YITH, PluginHive, WisdmLabs, etc. Caching is a process that can effectively improve the performance of your WordPress site. Basically, with the help of a caching plugin, you will be able to serve saved copies of static files (images, CSS, JS files) to your users. In addition, it will reduce database, PHP and HTTP requests, which will contribute to better performance. The effect of a good caching plugin will be quite apparent as it improves the performance of your site considerably. Checkout our articles to find out some of the best caching plugins you can use on your WordPress site to optimize & speed up your WordPress site. A content delivery network or CDN offers you an option to serve static files to users based on their location. Basically, there will be data centers scattered around the world that stores your static files. The CDN will deliver these files from the closest location of the user, depending on their geological location. This will speed up the page loading speed on your site effectively, and help optimize & speed up your WordPress site. You can try WP Super Cache, W3 Total Cache, or Cloudflare. 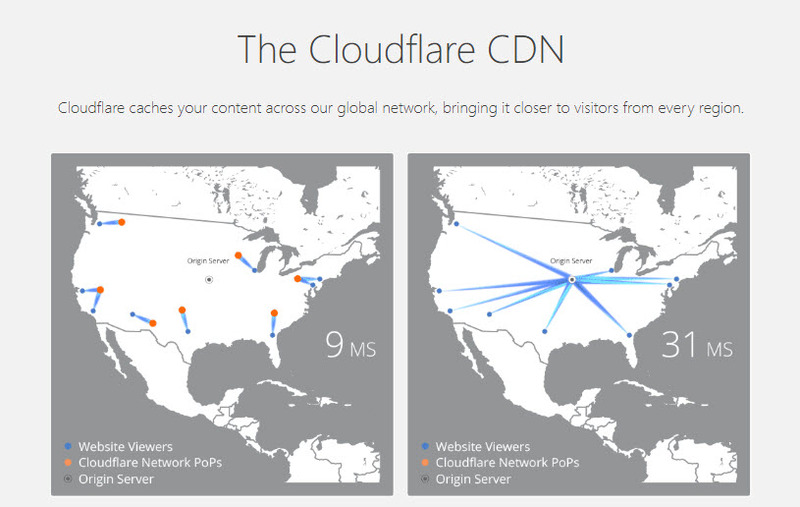 Cloudflare is one of the best options to set up a content delivery network for your website. Good quality images are a basic necessity of any website. However, high quality images tend to be of higher file size, which can be a problem to your site performance as well. Understanding the optimal file type for your website would help you optimize this aspect. PNG and JPEG are two commonly used file formats on WordPress sites. You can also use file compression software that would reduce file size without affecting quality much. WP Smushit is a useful plugin to optimize & speed up your WordPress site images. Lazy loading is a feature where only images that occupy the viewer’s screen at a given time will be downloaded. Rest of the images will not be loaded, and this can improve page loading speed effectively. If you have a lot of images on your site, you can use this strategy to optimize & speed up your WordPress site. You need to remove unnecessary data from your database for it to function optimally. For this, you need to remove spam comments, unverified users, discarded drafts, etc. If you don’t want to do it manually, use a plugin like WP DBManager or WP-Optimize. Minification is the process where you reduce the size of your CSS and JS files on your WordPress site. Also the number of CSS and JS calls to the server can also be reduced. You can use a plugin like Autoptimize for minification to optimize & speed up your WordPress site. WordPress allows you to upload video and audio files directly. However, it is not a great idea as it may slow down your site. This is why experts advise to use a third party video hosting tool like YouTube or Vimeo to upload videos. After uploading videos to the hosting service, you can embed them to your WordPress post. To embed a video file, you can simply paste the url to the post, and WordPress will embed it automatically. Hotlinking is a situation where one site uses the image url from another site. Instead of actually loading the image on their own site, hotlinkers are just use the image urls as an easier way to display images on their site. It is sort of considered as leaching on your bandwidth. You can find some code snippets, which you can use to disable hotlinking. Also, try All In One WP Security & Firewall, a security plugin from WordPress repository, which has a feature to prevent hotlinking. You can compress the files of your website before serving them to users. This can help a lot in improving the loading speed of the site. You can manage Gzip compression using some code modifications, or you can use a plugin like W3 Total Cache or WP Rocket. The theme or a plugin might be making external requests from your site. Sometimes scripts or images will be loaded this way from external sources. This can potentially slow down your website. A good strategy to optimize & speed up your WordPress site would be to minimize such external requests that load scripts from other sources. You can disable these scripts altogether, or merge them into one to optimize & speed up your WordPress site. When one of your pages or posts receive a backlink from another site, you will get a pingback. This might appear to be a useful feature, but it uses a lot of server resources by generating requests back and forth. Experts suggest to disable this feature on your WordPress admin itself and use some other tools to track backlinks to your site. On your WordPress admin panel, you can find the option to disable pingbacks and trackbacks under Settings > Discussion. Your homepage is where majority of your site user land on. So, it is important to offer the best experience to them on this page. Make sure to keep it uncluttered and well organized. Keep excerpts of your posts, and display an optimum number of posts. Also, make sure there are no unnecessary widgets for social sharing or other features that are causing hindrance to a better user experience. Informative long posts are a great way to please users as well as search engines. However, long posts would also have a lot of images, and hence might take more time to load. One strategies you adopt here is to split a long post into multiple pages. You can use the WordPress default tag for this, or use a plugin like WP-PageNavi to optimize & speed up your WordPress site. Comments on your blog post will be a great indicator of customer engagement. However, having a large number of comments can reduce the page loading speed as well. To avoid this, WordPress has a setting, where you can specify how you want to split comments on your posts. You find this options on the WordPress admin panel (Settings > Discussion). There might be several scheduled tasks running on your site’s background, such as backups or cron jobs. You need to optimize these tasks to ensure that they are not affecting your site performance. For example, running backups during a low traffic period would not affect user experience that much. Similarly, you can check out crawl reports on your Search Console also to ensure there is no impact on performance. You need to make sure that your site is running on the latest version of PHP. If you are using one of the WordPress recommended hosting service providers, chances are high that it is regularly updated. However, if in case you find out that your website is not running on the latest version of PHP, you can request them for that. As you know, one of the salient features of WordPress is that it is regularly updates. The entire set of tools in the ecosystem follows this pattern actually. So it is important that you ensure that you have an update schedule for WordPress core as well as the plugins and themes that you use. However, you need to handle updates carefully, as there are chances of compatibility issues to arise with each update. If you are running a WooCommerce store, here is an article that will help you update it without issues. Hope this article has give you a few options to optimize & speed up your WordPress site. If you have any queries, please let us know in the comments section.